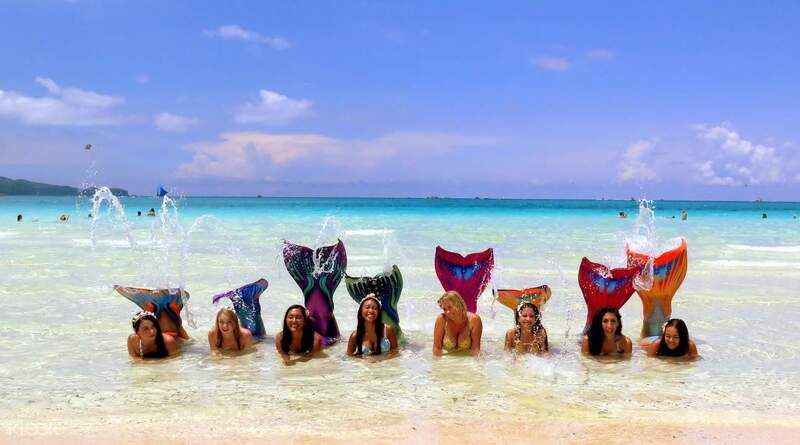 Turn your childhood mermaid dreams into a reality! Love it! Our instructor was really nice. Would be better if we had a slightly longer time! Haven't you ever imagined being a mermaid as a child, swimming beautifully in the deep blue sea? 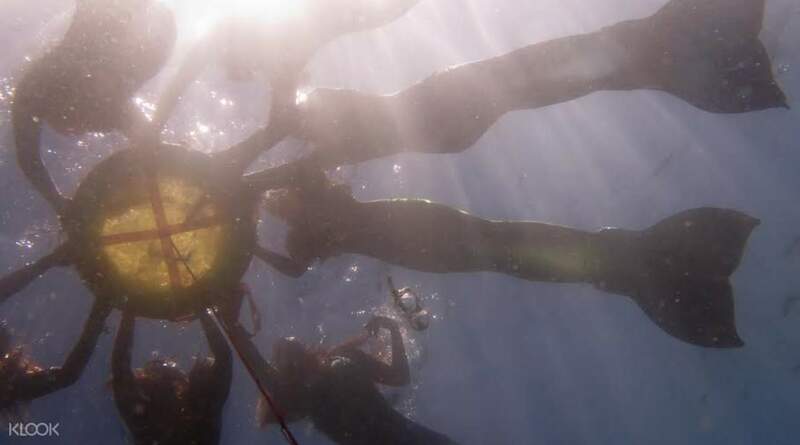 Bring those childhood dreams to life when you take the perfect mermaid swimming course in Boracay island. 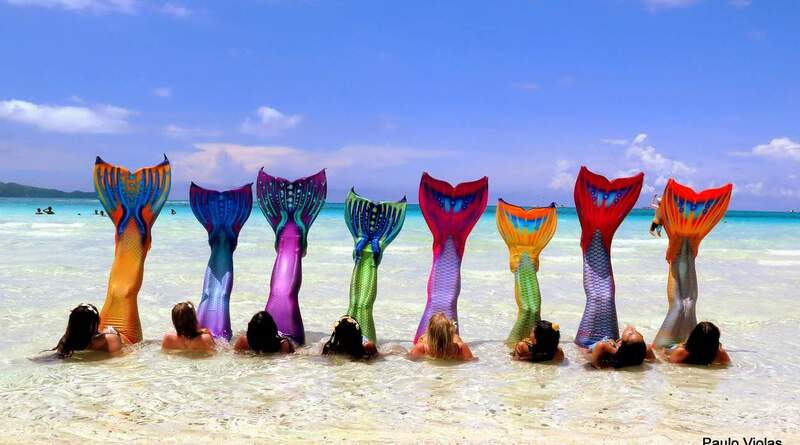 Right on the beautiful beach of the island, you'll be taken to a fitting for your rental mermaid tail, where you'll chose from an array of fun colors and styles. Your 90-minute mermaid swimming lesson will give you the best of the basics, from learning four different strokes that will allow you to swim better and easily with your new tail, to breathing techniques to ensure your safety as you swim. After your safety lessons, you'll be allowed to swim like a true mermaid in the pristine blue water of Boracay. To capture your transformation, a directed photoshoot by either your own photographer or instructor will take the shots for you to remember this amazing experience! The experience was amazing and the instructor was beyond fabulous. The instructor was Maegan and I will highly recommend her. She was extremely patience with her teaching. We went mermaid swimming together and took plenty of underwater photos. The experience was amazing and the instructor was beyond fabulous. The instructor was Maegan and I will highly recommend her. She was extremely patience with her teaching. We went mermaid swimming together and took plenty of underwater photos. Awesome experience. Great workout, learned some swimming techniques and took some nice photos. Love the experience. Awesome experience. Great workout, learned some swimming techniques and took some nice photos. Love the experience. Love it! Our instructor was really nice. Would be better if we had a slightly longer time! Love it! Our instructor was really nice. Would be better if we had a slightly longer time! The coach is really nice n I enjoyed the lesson soooo much, it would be better if the class is more than1 hr. The coach is really nice n I enjoyed the lesson soooo much, it would be better if the class is more than1 hr. They are unprofessional. The instructor was late by 45 minutes, we were there 15 minutes earlier. I was advised by the coordinator to wait for the instructor because she was at aplaya. Based on the voucher, the meeting place is at hanging kite center. If there was a change of location they could have informed us. Im so disappointed, we cancel it and now we are still waiting for a refund. They did not even apologised for being late. They are unprofessional. The instructor was late by 45 minutes, we were there 15 minutes earlier. I was advised by the coordinator to wait for the instructor because she was at aplaya. Based on the voucher, the meeting place is at hanging kite center. If there was a change of location they could have informed us. Im so disappointed, we cancel it and now we are still waiting for a refund. They did not even apologised for being late. Thank you for raising your concern to us. We sincerely regret to hear about the inconvenience you experienced, and we take your feedback extremely seriously. Your case has been noted and passed to the local operator for further investigation. Our specialist had got in touch with you and assisting with your booking Your understanding will be much appreciated. Thank you for raising your concern to us. We sincerely regret to hear about the inconvenience you experienced, and we take your feedback extremely seriously. Your case has been noted and passed to the local operator for further investigation. Our specialist had got in touch with you and assisting with your booking Your understanding will be much appreciated. Very special experience, mentor is also very careful, patient, daughter likes! 很特別的體驗，導師教導亦很細心、有耐性，女兒很喜歡! Beautiful Mermaid fish tail, one on one teaching people rest assured that understand swimming is hard to find, the photos look good! 很美的美人魚魚尾, 一對一的教學讓人很放心, 懂游泳的一定難不到, 照片很好看!